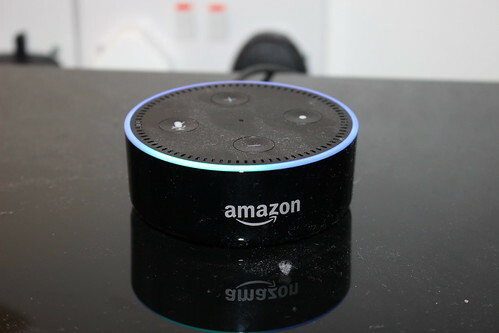 In my first part of my setting up a smart home articles I looked at why I chose Amazon Alexa as the main way of controlling my smart home. 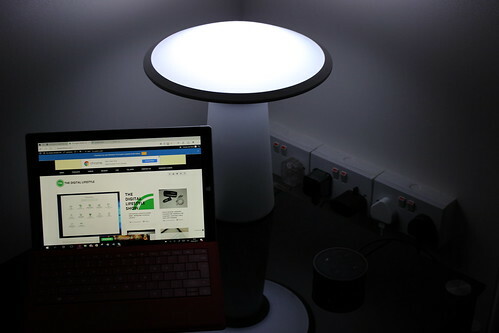 In this post I will look at howI have setup my lighting to work Alexa using Philips Hue and my existing lights. 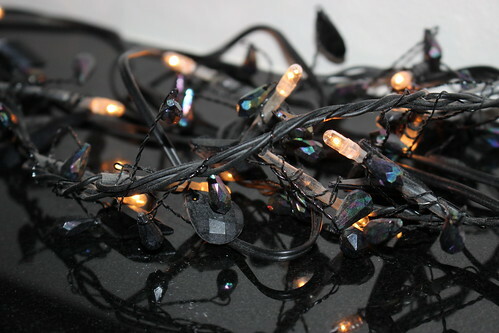 I had a couple lights that plug into the main that I wanted to incorporate into my setup so for these I used a D-Link Smart Plug. There are other smart plugs available TP-Link, Wemo and others but I already had one D-Link plug so I ordered a 2nd unit. With my main way of controlling the home being an Amazon Dot the main criteria for a smart plug is for it to work with Amazon Alexa, so the manufacture must have a skill for Alexa so it can control the plug. So when selecting a smart plug make sure it’s going to be supported. The D-Link W215/B work well with Alexa (Amazon link) and Richard Speed test the TP-Link HS100 here on TDL which also work well. Another consideration is some plugs require a bridge that connects to your existing network before they can connect to the internet. 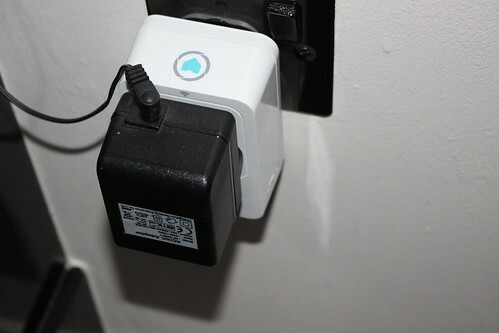 Some like Hive plugs require a Hub so while the initial plug price may be cheaper you have to factor in the hub price, the TP-Link and D-Link plugs connect directly to your wifi with no hub needed. 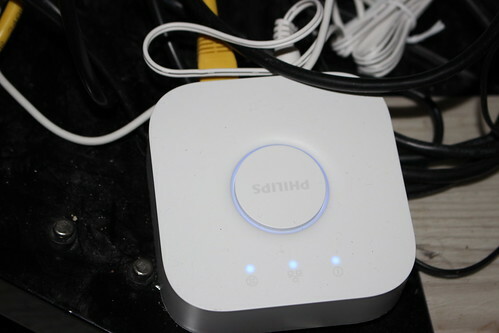 Another point about needing a hub is that the device need to be in range of the hub and the range they support varies where as a directly connected wifi device can be anywhere inside your network and you can extend your wifi with range extenders. The D-Link plugs work as standalone smart plug that connects to your Wi-Fi. They have an iOS and Android app that you use to setup the plugs and you can name them, you also setup a D-Link account so the plugs can be controlled from outside the home. Your D-Link account details are needed when you enable the D-Link skill in the Alexa app, linking the account to Alexa means it knows about your smart plugs. You then go to the Smart Home section of the app and select “Detect Devices” it will pickup your smart plugs. I have a set of lights over my fireplace plugged into a smart plug so I named it Fireplace and I can then say “Alexa turn on Fireplace” and it turn the plug on, saying “Alexa turn off Fireplace” will then turn it off. You can also group the plugs together, I have a light in the living room plugged into another smart plug which I creatively called light then in the Alexa app I grouped them together called “living room” so now I can say “Alexa turn on living room” and it switches both plugs on at once. 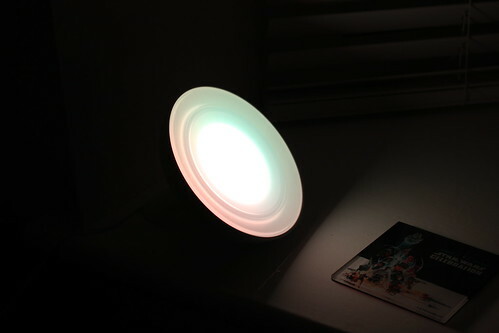 It works really well, it turns a normal table light into a smart light. The D-Link plugs also support schedules so you can have turn on and off automatically. I also wanted a new lamp and a bit of mood lighting so I picked Philips Hue as they have a good selection aesthetically pleasing lights and can be controlled by Alexa. Philips Hue require bridge before you connect them to a network so that does add to the overall costs. You can get bridge as part of starter set or on its own for around £49 (on Amazon) this enables you to control the lights from the Philips Hue app, 3rd party apps, Apple Homekit and Amazon Alexa. 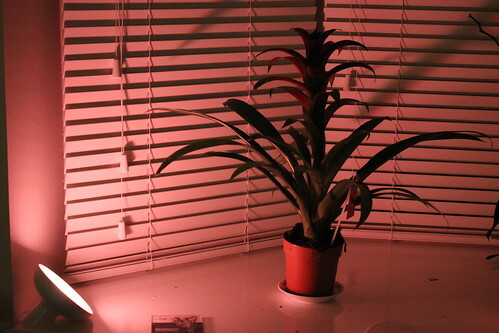 The lights I selected where a Hue Bloom mood light and a Hue Phoenix tablet lamp. 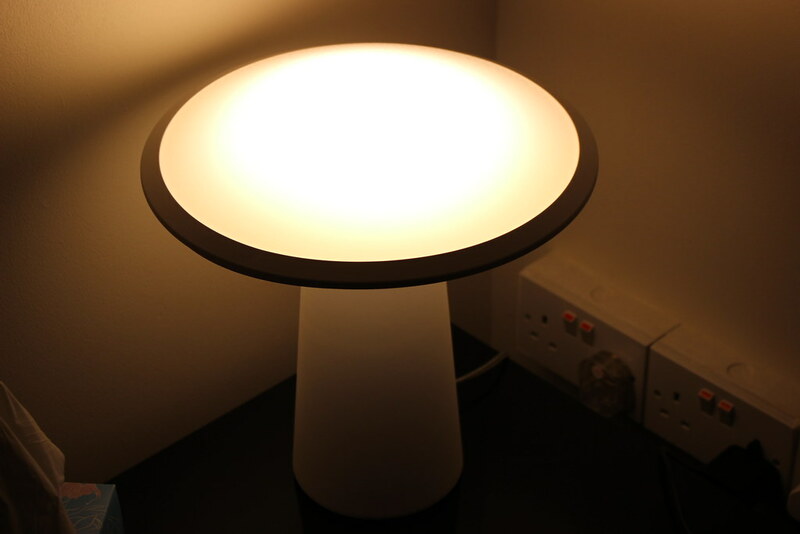 The Bloom is a colour changing uplighter and the Phoenix is while ambient light, from the Hue app I linked the two lights together into a single room so you can control the lights individually or you can set the colour and brightness of the whole room. You can go from an energetic bright white light right down to a very warm low light amber light which is great for evenings. Philips have Hue apps for iOS and Android plus there are a lot of 3rd party apps available including for Windows 10. My favourite app for controlling the lights is hueDynamic for Windows 10 (PC and Mobile) where you can pick from a selection of ambiences and colour changing experiences. For Amazon Alexa there is a Philips Hue skill where you link your Hue account to Alexa and then you can do the “Detect Devices” command and Alexa will see your individual Hue lights, rooms and all the scenes available. So you can ask Alexa to control single lights, the room and set a scene. I have a scene called morning which I can say “Alexa, turn on morning” which switches on the Bloom and Phoenix to a bright white mode. So via voice you can set the lights to whatever mode you feel like. In my living room I have the two Philips lights and a set of fireplace lights plugged into a D-Link smart plug so I want to be able to control then with single commands. In the Alexa app you can group devices together in a single controllable device name. So you can mix and match smart plugs and smart lights from different providers. I created a group called “living room” which contains the two Philips lights and the fireplace lights which are plugged into a D-Link plug. I can say “Alexa, turn on living room” and then it turns on the Hue lights and the D-Link plug together. This is one of my favourite features of Alexa, it doesn’t matter what manufacture the device is from you can control it with a single command. Also a single device can be in multiple groups so you have a lot of flexibility. If you are using Amazon Alexa to control your home it doesn’t really matter which manufacture the lights or plugs come from as long as they have a support skill in Alexa. It’s really easy to get started and then it’s also easy to expand the setup over time, I have added a D-Link plug to a dining room light and will have one in the conservatory so I will create three room groups. I also set up a group called “all lights” and added all the Philips and D-Link plugs into the group so I can turn everything off with a single “Alexa, turn all lights off”. So now have my voice control system and my lights (old and new) under control the next parts of the series I will be looking at heating, music, security and some advanced control. Also I want to thank everybody that has sent me feedback including some great comments on the first post, there are some great suggestions including recommendations for additional services that I should look at, I will look at these in the final part of my series.